NANDI CONTINUES ITS WINNING STREAK ON DAY TWO OF KYISA GAMES. 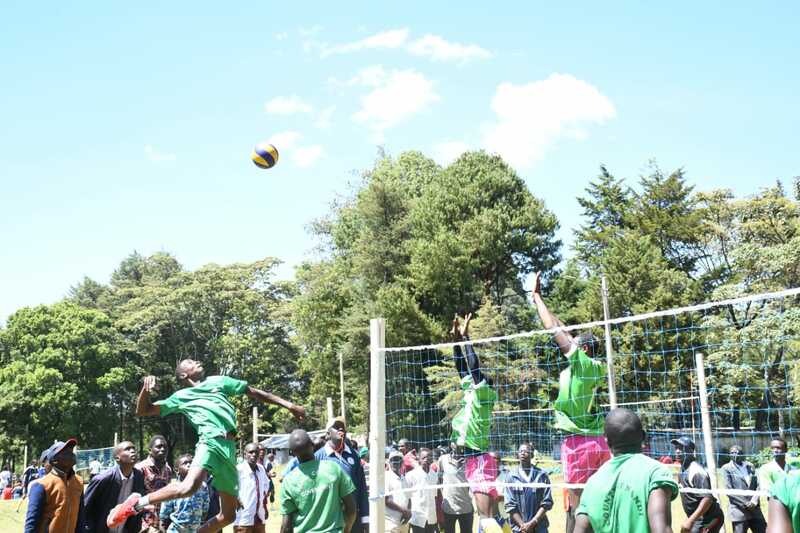 The Kenya Youths Inter-County Sports Association tournament entered its second day with hosts Nandi continuing its dominance in the event. The women’s volleyball team picked their first win when they hammered struggling Kirinyaga side by 3 straight sets to nil. In the football category, Nandi played to a barren draw sharing the spoils with a stubborn Busia side to stay top of Pool A with 4 points from two games. In other fixtures of the day, Garrissa defeated Uasin Gishu 2-1 while Turkana trashed Trans Nzoia 7 -1 in the men’s football. Nandi also registered wins in Basketball matches. The men’s basketball team beat Siaya 44-18 while the women’s team beat Busia 30-11. The games continues tomorrow with last group matches being played.